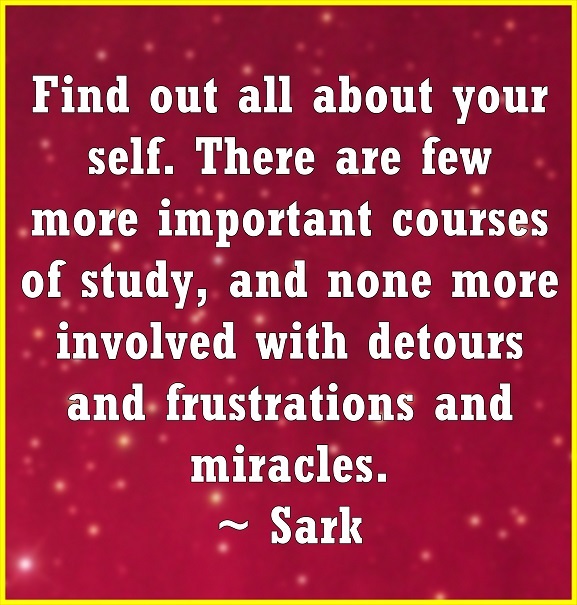 Regardless of what anyone else proposes, there is no more important course of study than to thoroughly know thyself. Perhaps no other knowing is as important and as developmental as self knowing. In many cases what others know about me and I don’t recognize in myself can be enlightening in a special way. Just the willingness to hear is a growth spurt. I think you are very wise and I feel blessed by your presence in my life.